Welcome DAHA’s Classified Ads Page! These classified listings are FREE to Diablo AHA members, while not exclusive to just club members. If you are interested in advertising something for sale or an item you are looking for from other members, please send your ad with a picture of the item (whenever possible), your name and contact information to contactDAHA@gmail.com. If your sale item is listed here, please let us know if you would like the listing to be changed in any way. Any changes or additions should be sent to contactDAHA@gmail.com. 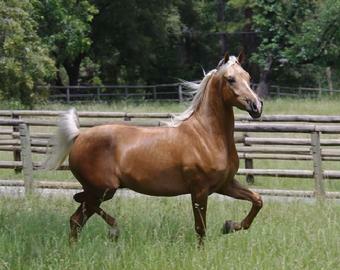 Sarge is a 2006 Palomino Half-Arab gelding by Bold and Gold and out of a Khutty Sark daughter. He is over 15 hands hands and full of life. He is currently in training with Dean and Sherri Lacey and has been started under saddle. He will make an excellent show horse (Hunter or Saddle Seat) and has had a little trail experience. Price Reduction! Asking $6,000 and will consider terms. Sire of multiple National Champion, Pikhasso++/. Quality sport horse, hunter and western. 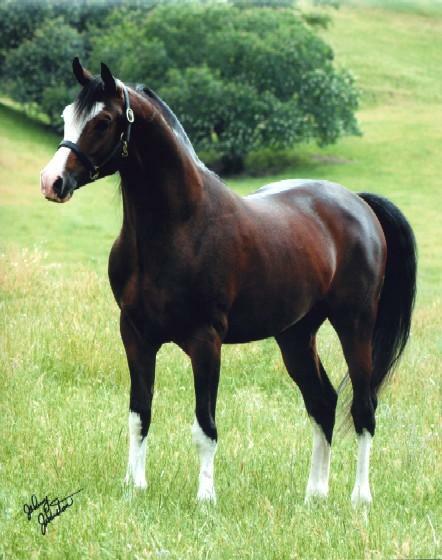 Sire of several purebred Arabian pintos. Color without compromise. Sire of 2008 National Champion Sport Horse Under Saddle Open, ATR and Reserve National Champion Sport Horse Under Saddle Jr. Horse. Hardly used, with fittings. Asking $700. Ears to tail. Asking $50. Pull on, about size 7 with a short broad calf. Asking $100. Offering individual or group ground session(s) in horsemanship and equine safety and handling. Ideal for the frightened horse lover or friends and family members of dedicated equestrians wanting to know more about their loved one’s passion. Contact Vicky Townsend at 925-788-2708 or victoriatownsend@astound.net for more information. 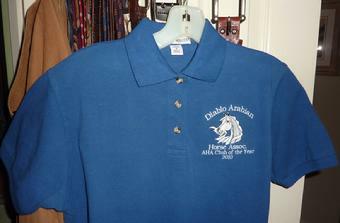 – Ladies royal blue polo shirt. – Ladies Sizes S (4-6), M (8-10), L (12-14), XL (16-18), XXL (20-22), XXL (24-26) Men’s sizes will be a slightly different blue, available upon request. 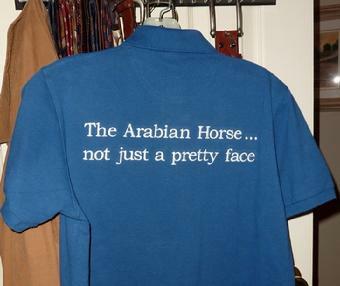 – Plus, “The Arabian Horse… not just a pretty face” embroidered on the back. – Price: $37.97 (shirts without back embroidery discounted between $18.99 to $12.99) + tax=$41.67. E-mail Diablo AHA at contactDAHA@gmail.com for orders. Delivery time is approximately less than 2 weeks – just in time for show season!